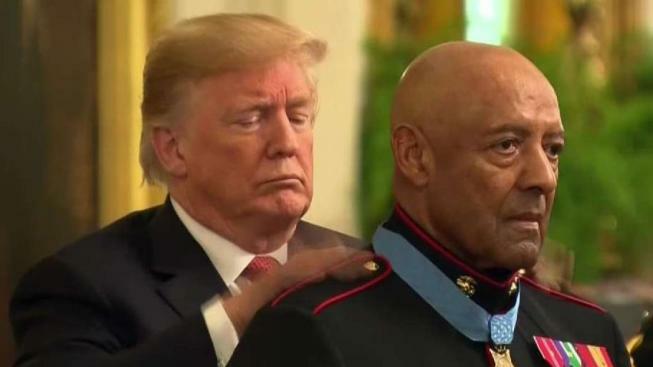 President Donald Trump on Wednesday presented the nation's highest military honor to an 80-year-old retired Marine sergeant major for valorous action in Vietnam five decades ago. Sgt. Maj. John Canley's heroism includes twice scaling a hospital wall in view of the enemy to help wounded Marines and carry them to safety. According to the White House, Canley, a native of Caledonia, Arkansas, who now lives in California, fought off multiple enemy attacks over several days in early 1968 while his company moved toward Hue as part of a counter-offensive to retake the city from the North Vietnamese and Viet Cong forces. "He assaulted enemy strongholds, killed enemy fighters and with deadly accuracy did everything you had to do," Trump said. "He raced into heavy machine gun fire on many occasions -- all to save his fellow Marines. In one harrowing engagement after another, John risked his own life to save the lives of those under his command." Canley took over after his commanding officer was severely wounded in a battle to retake Hue, in what was then South Vietnam. At the time, the city was held by at least 6,000 communist fighters, Trump said. On the fifth day of combat, Canley's company was charged with liberating the Joan of Arc school, which had become the communists' strategic and symbolic stronghold in the city. They were greeted with machine gun fire. 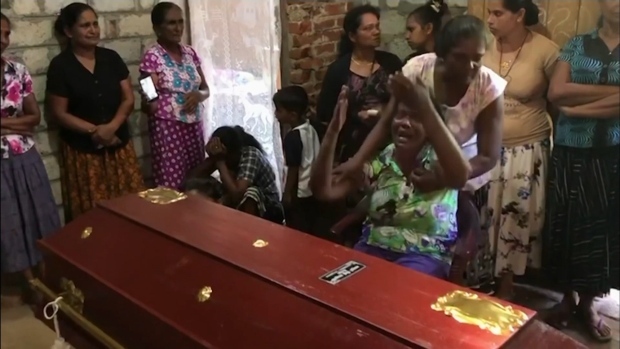 Canley and a colleague charged forward with rocket launchers, killing enemy fighters and driving them from their positions, Trump said. "The enemy didn't know what the hell happened," Trump said. During seven days of combat, Canley personally saved the lives of more than 20 Marines, the president said.